Read The Full Article To Know About The GetResponse Email Campaign Software. 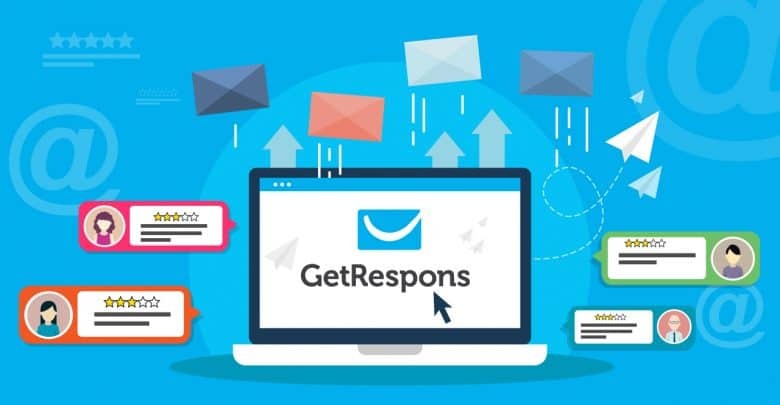 GetResponse Email marketing platform might be a great platform if you are looking for email marketing tools with great features and good pricing. Firstly we are describing what an autoresponder is and why it is useful for email marketers in brief. Well, autoresponders are a fundamental and required feature on the email marketing. It is nothing but just an automated mail programmed by you. Here no one manually sends the newsletters the system automatically send emails to the subscribers. They are used for many purposes. Suppose a new visitor just subscribed to your email list, so it is important to send him or her a welcome mail. Most of the businesses and companies send automated emails to their users on a sequence to build up a strong relationship with them. You can set up your autoresponder to send them emails after every three days, five days or on a week. By comparison on the GetResponse, you get additional functionalities as compared to standard autoresponder. Typically autoresponders send newsletters automatically, but Marketing Automation of GetResponse offers tools to operate your whole email marketing campaign. This feature helps to analyze your email marketing efforts. One of the main important thing in any marketing campaign is the statistics reports. This helps you to understand to take the right approaches on your email campaign. On the GetResponse email marketing software you can check real-time reports, real-time ROI, autoresponder statistics, and many more. Below we are mentioning some important statistics reports which GetResponse shows. Here you can check your autoresponder message’s performance; are they fulfilling your expectations or not. They show messages through very to understand graphs. You can check your newsletter marketing conversions in real time. Only a website tracking code needed to be installed. If you sent two emails two check their performance you can easily do so on the GetResponse. You can compare two newsletter’s open rate, click rate, conversions, unsubscribe rate. You can check the real-time open rates of your newsletters, click rate. This report gives you the ability to change your strategy if you find your campaign is not going well. You can check the impact of your newsletter marketing on various popular social media platforms like Facebook, Twitter, LinkedIn, and Pinterest. The one click segmentation tools of GetResponse categorize your subscriber. Categories like how many subscribers opened your emails, how many didn’t. There are several more features on GetResponse Advanced Analytics tool. Like, Global View to know what actions your clients are taking in different locations. Smart reporting, by which you can get customized reports of your newsletter marketing. To get the full behavior of your subscribers you can integrate Google Analytics too on your GetResponse analytics. The looks of your newsletter matter a lot to get conversions. If you have so many templates to choose, it is more probable to fit your imagination and preferences. On the GetResponse you get 500+ HTML templates. All of them are responsive. No matter what device your clients are using to open up your newsletter their user experience remains the same. They offer templates on almost every category you require. Categories like Online Marketing, Fitness and Wellness, travel, Retail and E-commerce, Online publishing, health and beauty, Creative Agencies and many more. Though you get lots of templates to choose you can create your custom template too. Their simple drag and drop toolbar allow you to easily built your attractive newsletter. You can choose pictures for you emails from GetResponse as they offer so many stock images. However, you can choose pictures from your device also. Landing pages are created to attract people to some offers or conversions. When someone opens your mail, they need to send on a page where they do the thing, and you want to. Typically landing pages have Call To Actions. If you create a perfect landing page, you will get so many conversions from your email marketing. On the internet, you can find lots of landing page creating tools, but most of them are quite expensive. GetResponse, email marketing tool, offers this feature for their user. For landing pages, you don’t need to go to any third party platforms. You get hundreds of high-quality landing page templates to choose for your landing page. GetResponse also offers 5000 Shutterstock images to use, and all landing page templates are entirely responsive. CRM stands for customer relationship management, and it is used to keep contacts of your clients, manage leads, and all other relevant information about the clients. Generally, to maintain customer relationship, there is so many CRM software. But sometime if you have so many software, panels it is hard to manage all of them. But in GetResponse you will not face such kind of problems. GetResponse CRM allows you to control all your client data, manage deals. You can connect CRM with your email campaign and overview it. You can create customize pipelines to offer the best to your clients and increase your sales. GetResponse offers four plans for their users; Email, pro, max, and Enterprise. This plan is suitable for the beginners, and the plan starts with $ 15/ month. You get the basic landing page and one user access. You don’t get the CRM on that plan. The Pro plan is suitable for the marketers who are only focused on the growth. Here you get advanced landing pages, 3 user, and the CRM. The plan starts in $49/ month. People who need extra features can choose this plan because you get lots of benefits on that. You get campaign consulting, CRM and 5 users. Max plan pricing is $165/ month. This is the high-end plan of GetResponse. Here you will get dedicated infrastructure, dedicated IP address, deliverability consulting, 10 users, CRM, and all Max features. This plan starts from $ 1199/ month. All these plans are customized to your needs and the duration you choose. If you pay monthly, the pricing will be quite high, but if you bill yearly or every two years, you will get price cut on that. GetResponse gives service to 180 countries across the globe and serves over 350,000 people. You can get lots of unique and advantageous features on the GetResponse. The landing page builder feature is fantastic. On that platform, you can create your full responsive and attractive landing pages. The CRM is also a special feature for an email marketing tool. So if you are looking for a good email marketing tool, then GetResponse would be an excellent choice for you. Another positive thing is you can use their service for 30 days for free, and you don’t need credit cards for use. So if you want to use GetResponse, you can do it from below. Thanks for reading. We hope you have enjoyed the article. If you have any queries or suggestion, please comment below. If you want to read more articles on digital marketing and email marketing, you can read:- Know These Major Factors To Start Effective Email Marketing Strategy, and How to Create an Effective Digital Marketing Strategy.